Will you be one of the 1000? In this climate of uncertainty in the work force, it is time for women as well as men to take their future in their own hands and look at becoming an Entrepreneur. We are not saying, walk into your job tomorrow and give your two week notice, but we are saying there is a way for you to do what you are currently doing and begin your journey into life as an Entrepreneur. For some being an Entrepreneur is not a goal, and that is fine, so your focus should be on finding a way to create an additional income stream. 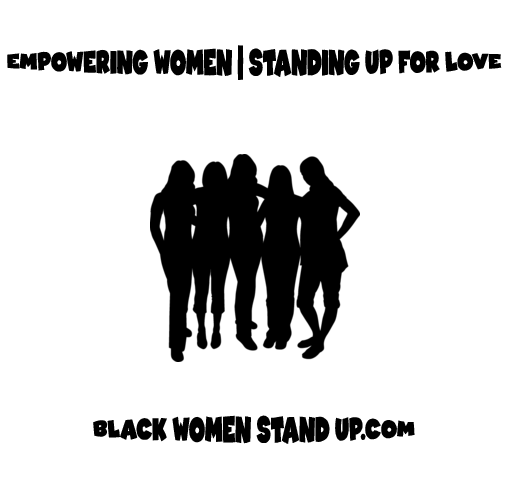 BlackWomenStandUp.com wants to help 1000 women earn extra income this year and work towards their financial freedom by taking the #EntrepreneurialLeap…Become an Entrepreneur through an industry that has allowed countless individuals to become business owners, and to create a life they may have never imagined. For more information or to get started, click on the appropriate link below. These links will help you make an informed decision on if you will leap for and towards your freedom. Are you ready to make a Total Life Change! Let BWSU help you create a healthy life from the inside out with an array of health products ranging from the famously widespread Iaso (Detox) Tea, which has helped countless men and women lose weight while detoxing their kidneys, liver and colon from a cellular level. Nutra Burst a powerful liquid vitamin with a 98% cellular absorption! Visit Stand 4 Health or StandHealthy to learn more about or purchase these amazing products, or to become an Independent Business Owner so you can start making money right away! For more information Visit: Stand4Wealth. Email: BlackWomenStandUp@gmail.com with #EntrepreneurialLeap in Subject Line. Remember, everything you do in life you are taking a chance, so why not take a chance on you! If you make the decision to win, email BlackWomenStandUp@gmail.com with #EntrepreneurialLeap in the subject line. #BWSU is shining the light on this Goddess, We Stand With and For #DeeBarnes and look forward to her #BounceBack! Check out this Instagram Post starring the Iconic – Shelia E, along with the Great – Angela Bassett, and Everyone’s Favorite “Tell It Like It Is – Queen – Tasha Smith! Today our #BlackWomenStandUp #BWSU “Goddess Spotlight” is Entrepreneur Extraordinaire Ms. Stormy Wellington. BlackWomenStandUp.com is spotlighting this Visionary who declared today 5/11/18 as #GirlSuperHero Day inspiring women globally to support another woman owned business, or another woman in general who you admire and believe is an Everyday #GirlSuperHero. So today we Honor and Celebrate #StormyWellington. We are asking for all Queens to spread the word, please share and most importantly tag a #GirlSuperHero in the Comments Section below, and let’s start an avalanche of love, support and celebration of women everywhere! Photos of Stormy Wellington Courtesy of Google Images. October has come to an end, but work towards finding a cure and bringing awareness is ongoing. We celebrate ALL Women who have won the fight against #BreastCancer and we lift up women like Jeanetta M. Johnson who are Standing Up with a message of hope and inspiration to help other women understand they too can win if diagnosed. Jeanetta teamed up with Mayvenn Hair and BrightPink.org during #BreastCancerAwarenessMonth 2017 to enlighten women on the symptoms of breast and ovarian cancers, and on the importance of educating themselves so one will know what to look out for. Remember, BlackWomenStandUp’s – #BWSU #BreastCancerAwareness Hashtag #CheckUpOnIt for the purpose of remaining cancer free and early detection. Thank you to Jeanetta M. Johnson. Remember if you would like to Celebrate a Survivor in Your Life on our Survivors’ Wall or Honor a Love one who has passed on from breast cancer on our Memorial Wall for Black Women and Women of Color, feel free to reach out through our Contact Us Page or email Contact@BlackWomenStandUp.com.